Munich’s league of purists may still be furious, but like it or not, a front-wheel drive BMW 1 Series is coming. 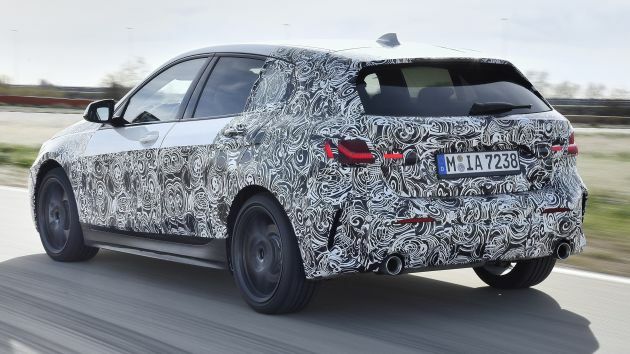 The “wrong-wheel drive” hatchback has been previewed to select media ahead of an impending unveiling, revealing some of the technologies – the product of a protracted five-year development process – that BMW hopes will make this a better car to drive than before, despite the switch from rear-wheel drive. Let’s get formalities out of the way first – the next 1 Series will ride on a new FAAR (Frontantriebsarchitektur, or front-wheel drive architecture) platform, the successor to the UKL (Unterklasse, or entry-level) employed by the X1, X2 and the 2 Series Active Tourer and Gran Tourer. The modular system is designed from the outset with plug-in hybrid and full electric propulsion in mind, and is reportedly lighter than before. The reason for this switch is to give buyers what they really want – more interior space. With a transverse engine and a low centre tunnel, rear legroom has increased by 33 mm and headroom by 19 mm, impressive improvements all around. What’s more, the boot is 20 litres larger than before, now measuring 380 litres – a handy 10 litres more than the latest W177 Mercedes-Benz A-Class. 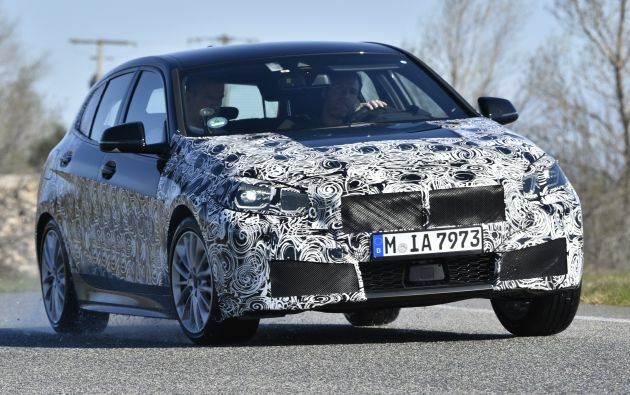 Despite all that, BMW says the new 1 Series will set new standards for the class in terms of driving dynamics, offering greater agility thanks to a new suspension setup, new technologies and the integration of all chassis components and control systems. “Our customers will directly feel the fast and precise responsiveness that provides for an optimised driving experience. The BMW 1 Series will be a genuine BMW with an individual character,” said BMW Group’s head of driving dynamics Peter Langen. One of the key highlights is actuator contiguous wheel slip limitation, or ARB – a feature that was first seen on the electric i3s. This advanced traction control system is integrated within the ECU itself rather than being linked to the stability control system, and the resulting lack of long signal paths means that its actuation is claimed to be three times faster than before (it actually feels like it’s ten times faster, says BMW). Working in tandem with the stability control, ARB reduces the power understeer usually found on front-wheel drive vehicles without any form of stabilising intervention. Agility is improved further with the BMW Performance Control torque vectoring by braking, while the use of additional stiffening struts – such as a rear-end “boomerang” strut – increases torsional rigidity. All-wheel drive comes as an option. As far as engines are concerned, the new 1 Series will come with the usual three-cylinder and four-cylinder petrol and diesel mills, with the range-topper at launch being the M135i. This halfway house all-wheel drive M Performance variant gets a 2.0 litre turbo four-pot churning out 306 hp – the same as the X2 M35i, if you remember – making it the most powerful four-cylinder ever to come from Munich. From the images shown, the new 1 Series will get the expected change in proportions, with a longer front overhang and shorter bonnet. The front end with its shapely trapezoidal headlights (with hexagonal “corona ring” daytime running lights) and inverted double kidney grille is reminiscent of the X2, while the rear gets broader two-piece tail lights and a number plate recess that has been moved into the tailgate. The new 1 Series will be joined by a slew of new cars on the new FAAR architecture, headed by the recently-teased 2 Series Gran Coupé.